Ferrari produces some of the best sports cars in the world. 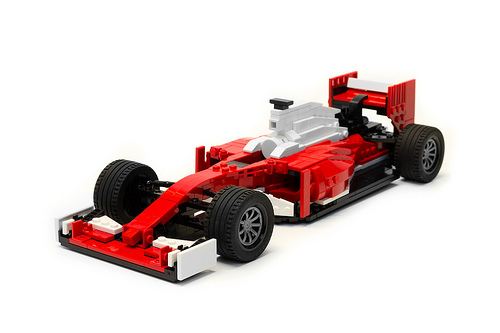 And Noah_L builds some of the best LEGO scale models of Ferrari cars. The latest SF16-H, which is actually a Formula 1 car built for the 2016-2017 season, looks amazingly good and is loaded with clever building techniques. What I find the most satisfying is the balance between tiled areas and rare exposed studs. These studs, being hard to cover up, give the vehicle a nice retro look, as if it was one of the legendary Model Team sets from the ’90s. If you’re new to Noah’s collection of cars, I’d strongly recommend you check his Flickr stream and take a look at the huge progress he has made. Can you believe that only 3 years ago his cars looked like this? That’s what happens when your skills align with your passion.